(William Braham, “Revelation Chapter Four #3 (Throne of Mercy and Judgment)” (Voice of God Recordings, Inc., 1961, audio tape #61-0108, side 2). (William Branham, Conduct, Order, Doctrine Q and A, p. 392). By the 1960’s, Branham had clearly become convinced that he was the end-times “Elijah” and the true “Messenger of the Covenant”. Branham taught that the Word of God was given in three forms, the zodiac, the Egyptian pyramids, and the written scripture. 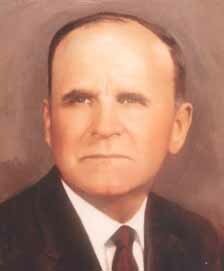 To date, William Branham’s body is still in the grave. But, his occult methodology of healing was picked up by hundreds of pastors and teachers upon whom he had laid his hands and who have traded on it to a greater or lesser degree.